Arctic Youth Forum presents their first Job Fair at LaplandUAS! 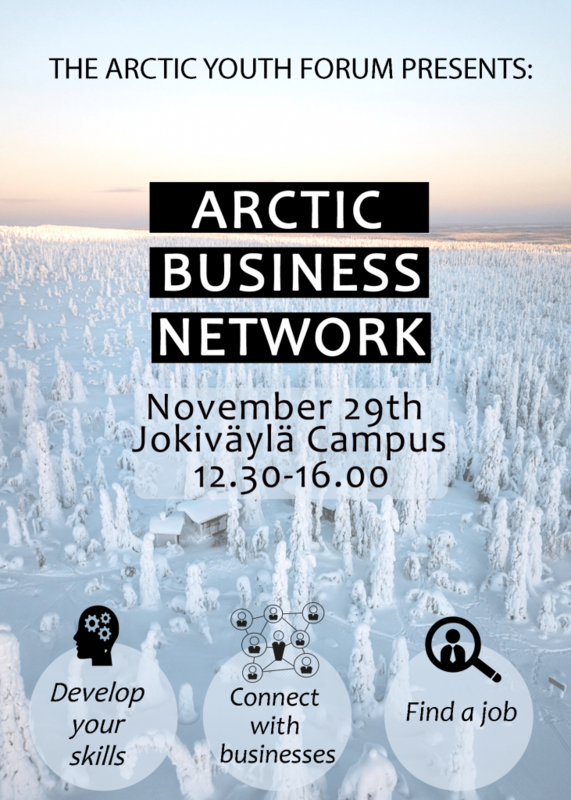 The Arctic Business Network is a multi-stage event designed to guide students through the steps of entering the workforce. First, professionals in their fields will advise you on how to tailor your resume and excel in job interviews. Next, several companies will share information about vacant positions and provide their contact information. Finally, shake hands with representatives of those companies during the networking session.